As everyone promised my boys are growing up way too quickly and the transition to a toddler bed is breaking this mommas heart. 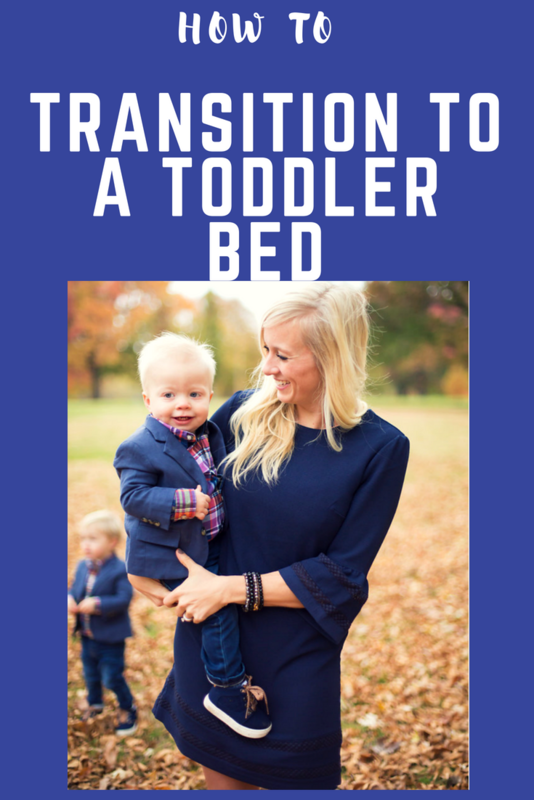 ( How many time can I google how to transition to a toddler bed – then crying and saying no! ) 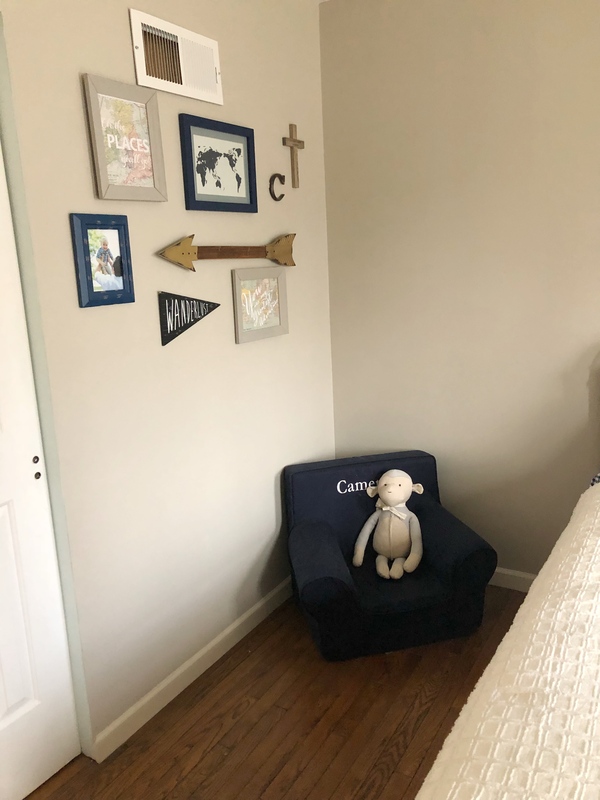 Seriously, cannot believe that we are already remodeling our toddler boys room, taking away all the things that really made this room a nursery. Cameron actually never tried to climb to of his crib, but at almost three it was time for the BIG boy bed! 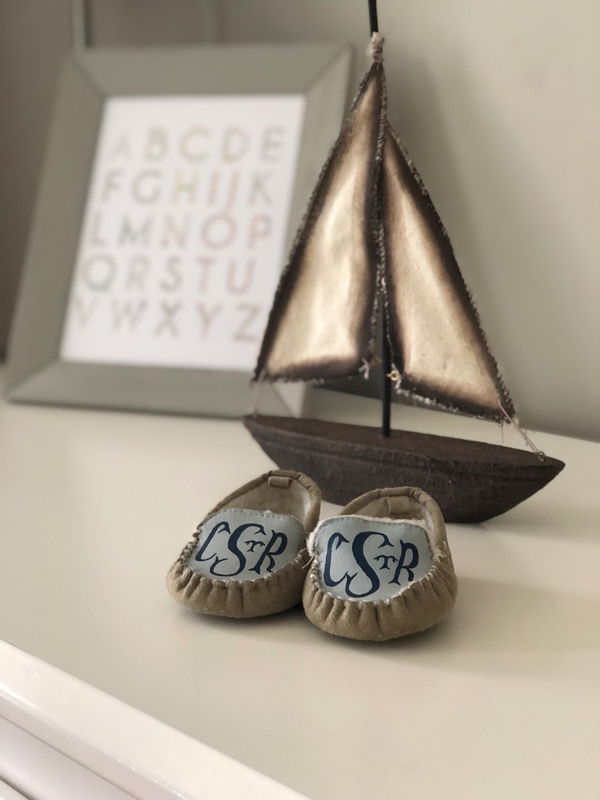 These special shoes were hand painted with his initials – I can’t believe how tiny they are! I wanted to keep the decor similar to what was already in the room and his nursery theme was “world traveler”. I removed the changing pad from the dresser and added a little decor. Most of the stuff you see is from Ikea or Hobby Lobby – because I love a good deal! The map picture was an inexpensive print that I had framed at HL, we get so many compliments on it! I wanted to add something special for his room besides just his new big bed. We always read our books together and with 3 people the glider just wasn’t cutting it anymore. So we were usually reading in the bed, but I wanted to create a special place that the boys could play/read in. This little canopy took 30 min to put together and they thought it was so cool when they first saw it! I love that creating this now it can easily be moved to the play room later. I already have ideas for his next bedroom update in a few years! 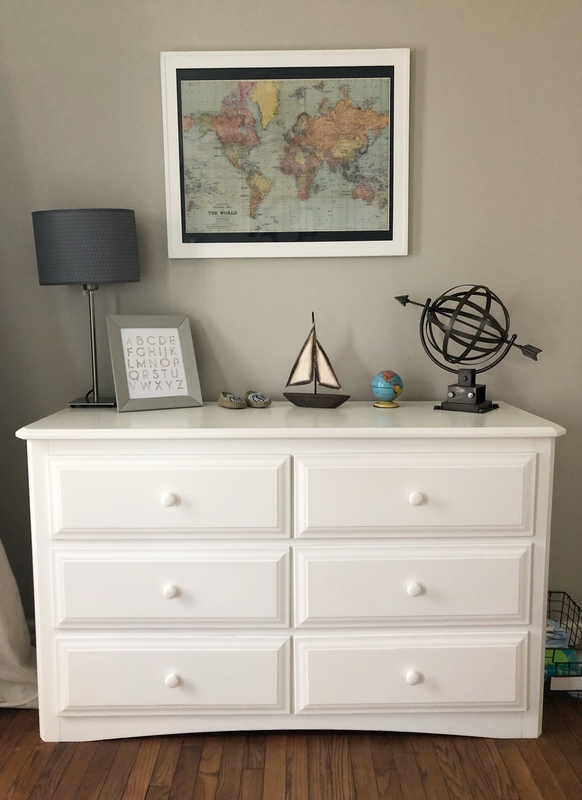 My friend from Arin Solange at home updated her sons room with the cutest Lego storage and play station – plus his entire room is the perfect mix of modern and fun! Simply cut the hoop to put the curtains on. I put it back together with masking tape & another layer of spray paint! More pom pom fringe to hang! This is the hook I used to hang – it has a little butterfly that pops out to keep the hanger secure. My hanging of stuff is always based on look not on where I can find a stud ha! Everyone loves a little gallery wall right? 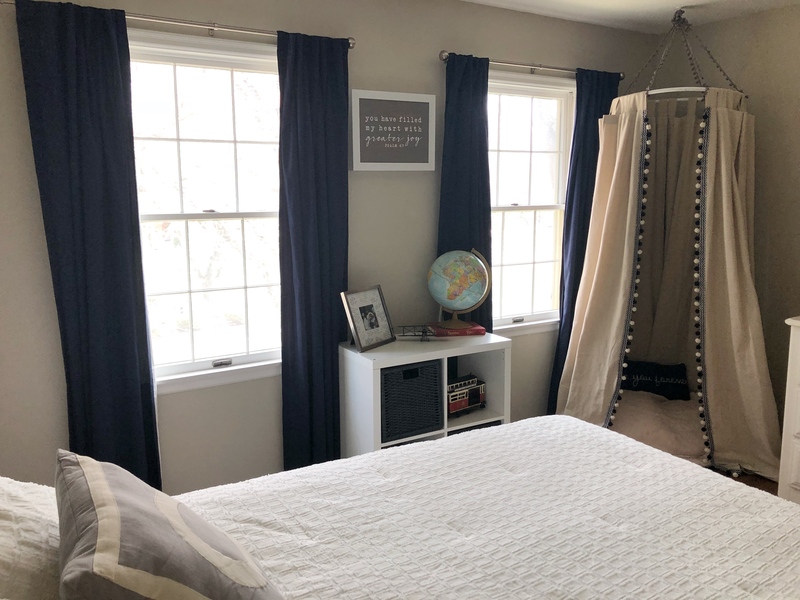 Gingham sheets – These are seriously the best deal every and are super soft- surprisingly shocked! Cruising the clearance section at Target I found this comforter set for $25, unfortunately its no longer there! His pillow was an ETSY find while I was pregnant! 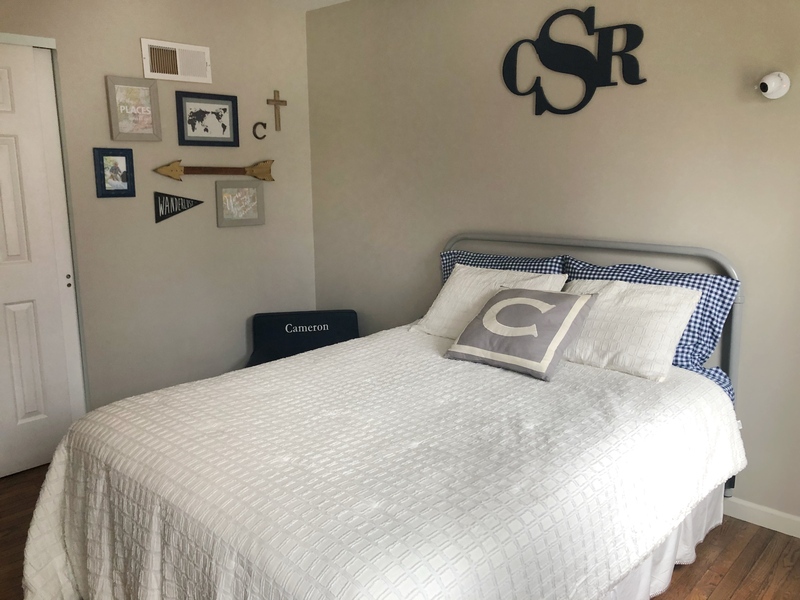 The wooden monogram I ordered from someone locally and painted it to match his crib bedding – crazy preggo and first time mom ha! The metal headboard is my favorite find, it was under $100 and comes in multiple colors. 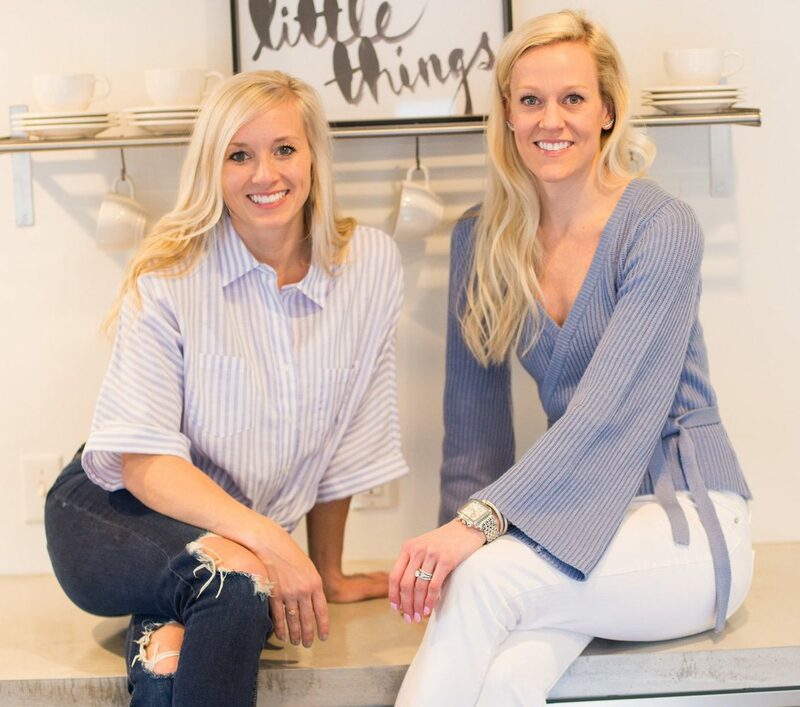 So the decor and switching the bed is the easy part – now you need to get your little to STAY in the bed all night. Talk it up for a few weeks before- Cameron was telling everyone about how he was a big boy and getting big bed for weeks before. We always stressed that to be in a big bed he had to stay in there all night until we all woke up. Be consistent – if your little gets up simply walk them back to bed tuck them in and get out of there. They don’t need extra snacks or extra books. I won’t lie I was a total softie and caved a few nights in a row then noticed he was doing it only because he could. 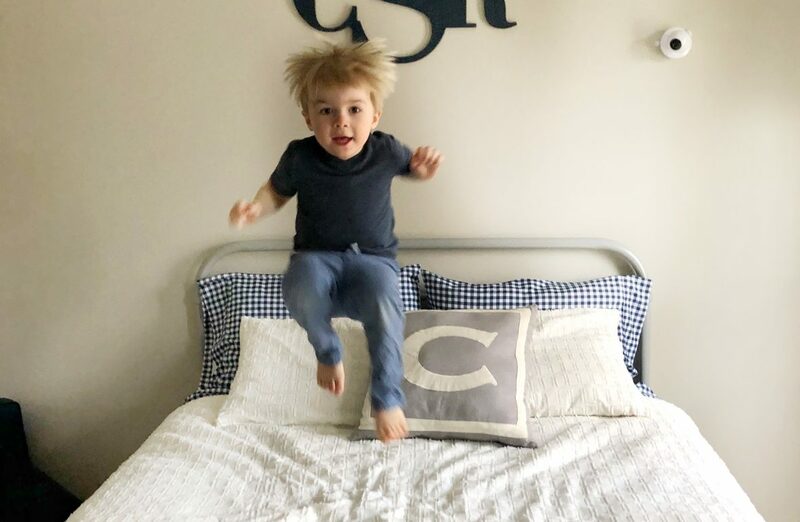 Give them something special to be excited about in their bed. While I got to pick the bedding my mom made Cam a special paw patrol pillow case – obsessed! He also has a gigantic STL Cardinals blanket from my dad. So the bed is only “mom pretty” during pictures! Mean mom here- we have never had toys in the boys rooms I think it helps to take away distractions. We have plenty of areas in our house with toys and their room is all book and sleep. Don’t change your routine, we still brush our teeth, read books, hugs & kisses then bed. We didn’t want to have too many changes so we tried to make the only real change, the room. 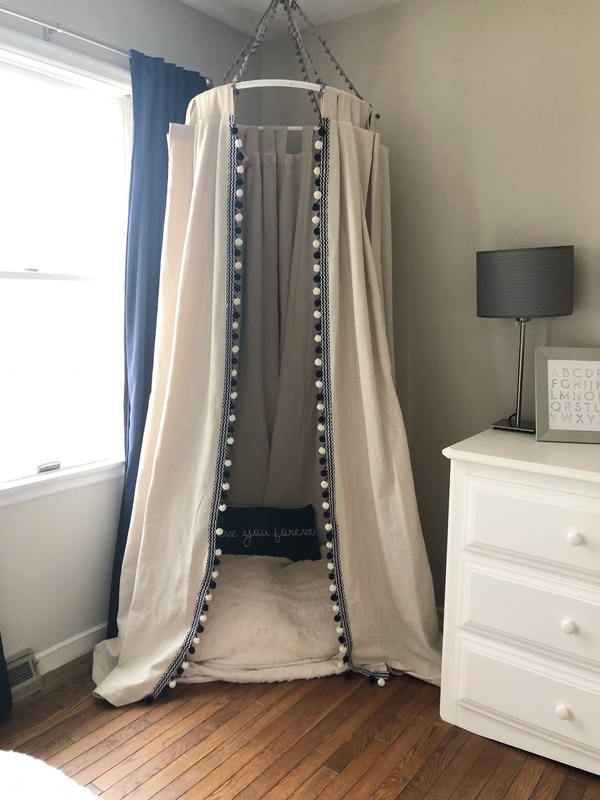 What do you think of this big boy room are you done wondering how to transition to a toddler bed? 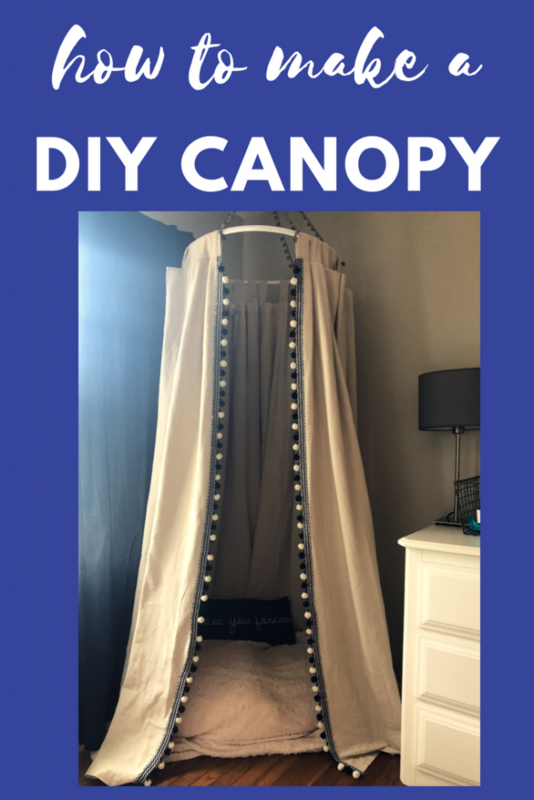 Thanks so much for checking out the post!I just added what I used to hang the canopy – I found mine at Walmart while I was getting my hoola hoop but this is the same brand on amazon. The flooring area is just two huge pillows from JPC with fur on them that I covered with a throw. You could easily use pillow, a dog bed ha, anything then toss a cute throw over it. Last night I had both boys and myself in our “tent” as Cam calls it. Plenty of room in there! You have mentioned very interesting details! ps decent internet site. “I understand a fury in your words, But not the words.” by William Shakespeare.